Cat answers your questions about herbal and natural remedies to this “Ask Cat” episode. 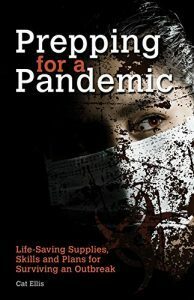 I take all the questions from the audience on everything herbal or prepper survival related. Over 80% of the world’s population today uses herbal medicine for some portion of their health care. Herbs are capable of killing harmful bacteria and viruses, relieving pain, decreasing the sensation of anxiety, encouraging broken skin and tissues together, stop bleeding, and much more. That is, of course, if you know how to use them and how to prepare them. Thankfully, that is easy to learn. Plus, you can grow your own medicine in your own garden year after year. This makes herbal medicine a viable option for both sustainable and affordable health care. Please keep in mind that I cannot do a full herbal consultation for any individual person on air. Those take longer than we have for the entire show. I also cannot diagnose anyone, as only a doctor can legally diagnose disease. These are my favorite kinds of episodes to host. The conversations are always different, and challenge how far we can take independent living. 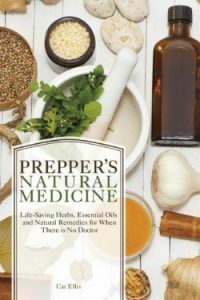 For more information on learning about herbal medicine and emergency preparedness, please check out my books Prepper’s Natural Medicine and Prepping for a Pandemic, my videos on my YouTube channel (Cat the HerbalPrepper), as well as my herbal courses on HerbalPrepper.com. Listen to this broadcast or download “Got herbal questions: Ask Cat” in player below! Previous: Previous post: Secure Your Perimeter! Next: Next post: 8 Alternative Ways to Cook without Power!